Absolute Powerpop: The Absolute Powerpop Top 100 of 2009, #1-5. The Absolute Powerpop Top 100 of 2009, #1-5. 5. Wiretree-Luck. Kevin Peroni is making himself a regular fixture at the top of my list, as 2007's Bouldin finished in the top 5, and had I had a best EPs of 2005 list, the debut EP would have been #2 that year (behind David Mead). 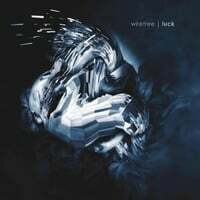 Among the artists I've reviewed on this site the last (nearly) four years, Wiretree has one of the more distinctive sounds, and Luck built on this sound and expanded it. 4. 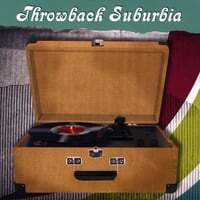 Throwback Suburbia-Throwback Suburbia. You know the old cliche about something that's a quintessential example of what it is - "If you looked up 'x' in the dictionary, there'd be a picture of this right next to it". Well when it comes to power pop, this Oregon band's sophomore effort might just be its epitome. Nothing groundbreaking here, just 13 tracks that hit all the right buttons, and serve as the answer to the question "what does power pop sound like?" 3. Michael Carpenter-Redemption #39. Michael Carpenter has become such a consistent fixture in the power pop community that it's very easy to take what he does for granted. But it's not easy to make it sound effortless, and on his sixth solo album, he displays a new lyrical depth that takes this collection of songs to another level. Carpenter is a mature, and maturing, artist who seems congenitally incapable of making a bad record. 2. fun.-Aim and Ignite. This is the first time I've had a disc ranked this high that I didn't previously review on the site. There are a variety of reasons for this which aren't very interesting, so let me just apologize to anyone who reads this site that's only finding out about this disc now, because you've missed out on the most rollicking, tuneful, buoyant, joyous disc of 2009. Nate Ruess disbanded The Format, but with his new band he's put out a disc that not only equals but exceeds 2006's brilliant Dog Problems. Mixing Queen, ELO, Mika, show tunes, and anything else he can throw in, Ruess outdoes himself here with a disc that should find an audience well beyond power poppers. Perhaps there's never been a more appropriately titled band - the disc is fun, period. 1. 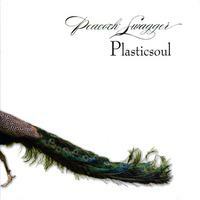 Plasticsoul-Peacock Swagger. It seems that at its roots, power pop is a search for the Beatlesque. Not an pure aping of the Beatles per se, but the ability to capture the mix of melody, musicianship and innovation in a more or less traditional rock form that was their hallmark. Lots of artists and albums try for this, but fall short in way or another. But I daresay that Steven Wilson, a/k/a Plasticsoul (fittingly named a McCartney phrase that inspired the titling of Rubber Soul) gets pretty much all the way there. Of course, it doesn't hurt to have a voice that sounds eerily like John Lennon either. And on Peacock Swagger, Wilson manages to capture the right mix of tunefulness, attitude and eclecticism that's found on most Beatles and Lennon albums. Great Top 5, Steve (well, top 15 really :-), though surprised a few things didn't make it higher, especially the Brendan Benson, which has held up to almost as many listens as the fun. album. I know you thought it was a down year, but given some of the high-quality discs in the bottom 50 (BB, TK, YFF, PP), I think it was a pretty damn strong one. Thanks for all your work, and for introducing me to a fair number of great discs again this year. Have great holidays! Couldn't agree more about fun at #2. Easily my favorite of the year. wow! what can I say? we are incredibly honored. just to be mentioned in the same breath with Cheap Trick, Eels, etc. is amazing beyond belief. I always enjoy checking out your list. I listen to as many of the artists you recommend as I possibly can. I don't know how you manage to find so many great artists but I'm glad you do. Here's a link to a demo of a song from my new album, "Fake Your Own Death", out 2010 sometime. Couldn't get the link to work Daniel, but your myspace has very good songs. I'll listen more. Bobby, just copy and paste the url address and you'll see the page with the download. Yeah, I did that. Didn't work for me. YMMV. fun. just did a session 12/19 on daytrotter.com; 3 songs from aim & ignite! Pleasantly surprised to see two of my top ten in your top five. A great list, plenty I haven't heard yet, so much to investigate including your number one choice. Daniel Wylie - your link worked, but has expired - I'm quite a fan of your earlier material - so any chance of a repost? Thanks. The Absolute Powerpop Top 15 EPs of 2009. The Absolute Powerpop Top 100 of 2009, #6-50. The Absolute Powerpop Top 100 of 2009, #51-100. Keeping up with Jason Karaban. Two for Tuesday, 12/8/09 (a day late).